The tax law program at the Law Center boasts a level of sophistication that has earned it national prominence and stature in the Southwest United States. Tax law is a moving target, constantly changing and becoming ever more complex as it evolves. Both J.D. students and practitioners looking to enhance their knowledge and skills through the LL.M. program have much to gain from UHLC full-time professors William Streng, Johnny Rex Buckles and Bret Wells, each of whom brings years of academic contributions and high-level practice experience to the classroom. 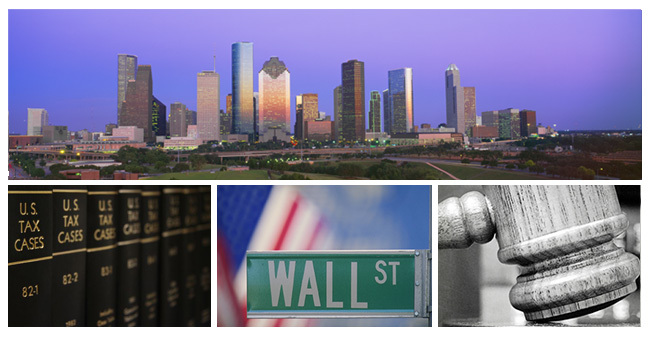 The Law Center also recently added as senior adviser Paul H. Asofsky, a longtime partner and head of the Houston tax group at Weil Gotshal & Manges LLP. The full-time faculty is bolstered by an outstanding group of adjunct professors from the Houston tax community who are nationally recognized leaders in their fields. Our Tax Law LL.M. program was established in 1983 and is open to both U.S. and foreign-trained attorneys. It continues to focus on helping students identify issues and plan solutions to tax problems and hone the skills needed to assimilate new tax rules into their practice. The program emphasizes professional responsibility and a thorough understanding of the tax system and how it affects individual, nonprofit, commercial and financial affairs. Our program also presents a unique opportunity to students who wish to complement their tax courses with those in other specialty areas such as energy, health, and intellectual property. Specialty programs at UHLC in these areas also enjoy high national profiles and prestige.